6611 AFFINIS FAST REG. BODY, 2x50ml.+ACC. 6712 PRESIDENT S-75 HEAVY BODY, 2x75ml.+ACC. 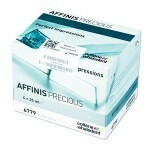 6779 AFFINIS PRECIOUS MS LIGHT BODY 4x25ml. 71487 IMPRINT 4 REGULAR 4x50ml. 71488 Imprint 4 Light 4X50Ml. 71489 IMPRINT 4 REGULAR SUPER-QUICK 4x50ml. 71491 IMPRINT 4 ULTRA-LIGHT SUPER QUICK 4x50ml. 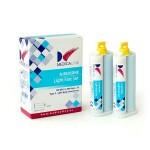 A-SILICONE MEDICALINE LIGHT FAST SET 2x50ml. 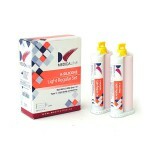 A-SILICONE MEDICALINE LIGHT REGULAR SET 2x50ml. A-SILICONE ML PUTTY SOFT FAST SET 300+300ml.